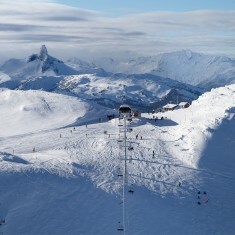 Whistler Blackcomb | Whistler Blackcomb | Ecosign Mountain Resort Planners Ltd. Client Whistler Blackcomb Holdings Inc.
Ecosign is especially proud of our very long and positive relationship with both Whistler Mountain and Blackcomb Mountain in Whistler, British Columbia. Originally two independent operations, the mountains merged under common ownership in 1996. Together Whistler Blackcomb has grown to become North America’s number one rated and most frequented ski resort with annual skier visits consistently exceeding two million. In 2008, the two mountains were connected at the alpine level with the installation of the PEAK 2 PEAK 3S (three ropes) gondola spanning 4.4 kilometers over the Fitzsimmons Creek valley. 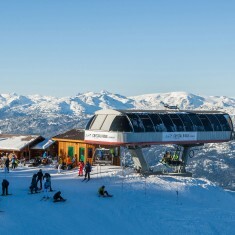 The PEAK 2 PEAK has attracted over 500,000 foot passengers year round to dramatically lift the business in Whistler in the summer and fall seasons. 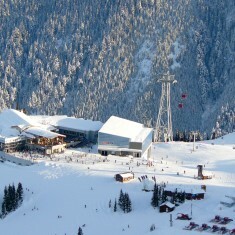 Ecosign has largely been responsible for all master planning work on both mountains starting in 1975 with a parking and skier staging analysis for Franz Wilhelmsen, the father of Whistler Mountain. 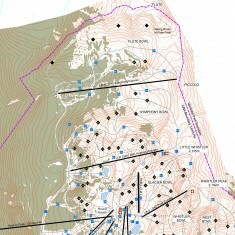 Whistler Mountain’s first ski area master plan was prepared by Ecosign in 1978. As Whistler grew in size and visitation, Ecosign prepared updated master plans in 1985, 1991, 1998 and 2013 to respond to changes in the market and lift, grooming and snowmaking technology. 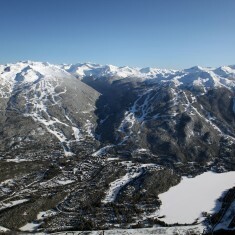 For more than 35 years, Ecosign’s master plans have guided the development of Whistler Mountain including opening the high alpine terrain, the PEAK 2 PEAK gondola, construction of the alpine skiing venue for the 2010 Olympic Winter Games, the Whistler Mountain Bike Park with Gravity Logic and the ever expanding summer recreation and sightseeing offerings. Ecosign collaborated with Hugh Smythe, then with the Aspen Ski Corporation, to prepare the very first comprehensive master plan for Blackcomb Mountain in 1977. 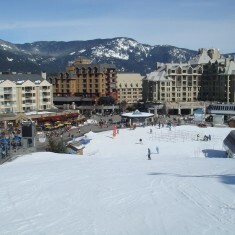 Ecosign prepared new plans for Blackcomb Mountain Resorts in 1986 which convinced the Intrawest Corporation to purchase their first ski resort; Blackcomb Mountain. The Blackcomb Mountain renovation plan completely revolutionized skiing on Blackcomb Mountainwith construction of the new Wizard Base just across Fitzsimmons Creek from Whistler Village and the installation of the Wizard, Solar Coaster and Seventh Heaven detachable quad chairlifts, access to the Rendezvous mountain lodge dropped from 55 minutes to just 14 minutes while annual skier visits jumped from 329,000 to 578,000 in a single season. Ecosign’s update to the Blackcomb Mountain Master Plan in 1992, outlined facilities for the $25 million investment by Nippon Cable Co including replacing the access from Whistler Village with the Excalibur Gondola, North America’s first 2-stage, 8 passenger sit down gondola. The plan also included the Excelerator Express and Glacier Express Chairlifts and the 1000 seat Glacier Creek mountain restaurant.